Celebrating the life of Charles Lee Bush, Sr.
Obituary for Charles Lee Bush, Sr.
Mr. Charles Lee Bush, Sr., 73, of Hartwell Highway, Elberton, husband of 18 years to Mary Frances Dispain Bush, finished his course in faith on Sunday, January 27, 2019, at his residence. Mr. Bush was born in Dothan, AL on September 28, 1945, son of the late Charles Sporman Bush and Ernestine Lee Horton. 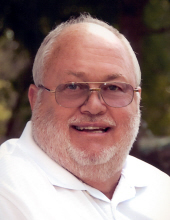 He was the owner/operator of North Atlanta Electric Motors and a member of Concord United Methodist Church. Mr. Bush was in the U.S. Army Reserves. “Charlie” was always the life of the party anywhere he was, and was an avid horseman. In addition to his wife, Frances, he is survived by his son, Charles Lee Bush, Jr. of Panama City, FL; step-sons: Bobby Joe Appling and his wife Jamie of Buford and Richard Kenneth Appling of Elberton; and two sisters, Sara Wolery of Montana and Belinda Ward and her husband Russell of Panama City, FL. Memorial services celebrating Charlie’s life will be held on Sunday, February 3, at 2 o’clock in the Concord United Methodist Church with the Rev. Thomas Moon and the Rev. Bryan Smith officiating. Contributions may be made in his memory to Concord United Methodist Church, 2503 Harmony Road, Elberton, Georgia 30635. Berry Funeral Home & Crematory of Elberton is respectfully in charge of arrangements for Mr. Charles Lee Bush, Sr.
To send flowers or a remembrance gift to the family of Charles Lee Bush, Sr., please visit our Tribute Store. "Email Address" would like to share the life celebration of Charles Lee Bush, Sr.. Click on the "link" to go to share a favorite memory or leave a condolence message for the family.